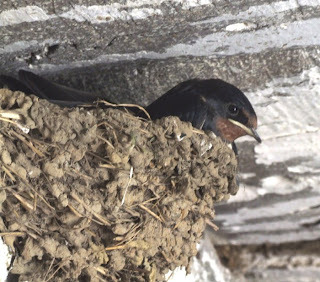 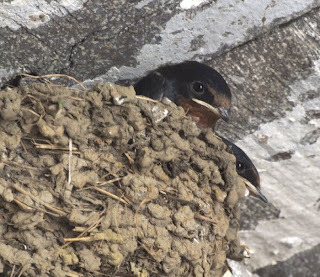 What a wonderful few days to see both of our swallow families safely away from their nests.... there were 5 of them in total in the mystery nest high up in our barn and today the little family in the stable have also flown - a total of 4 from this nest - originally I'd thought it was 3 - number 4 must have been well hidden - quite a deep nest! 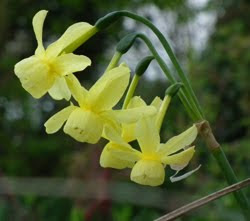 I took these photos only yesterday of the ones in the stable so it was good timing. 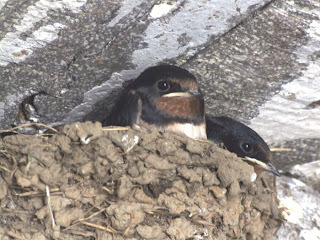 With all the problems we had with the swallows at the start of the season it was great to 9 fledglings taking to the skies! 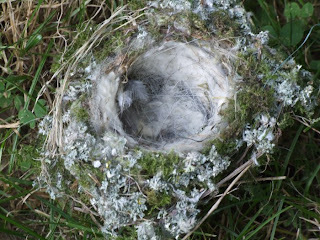 Finally on another birding topic I wonder if anyone is an expert on nests - I found this nest on the ground in our woodland a couple of days ago - such an amazing construction - inside a mix of wool and horsehair with a fair amount of lichen on the outside... any thoughts?